The challenges faced when confronting Genesis 1 and 2. 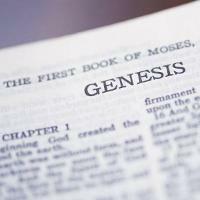 Before diving into Sailhamer’s book, Genesis Unbound we need to lay out a list of some questions concerning the interpretation of Genesis 1 and 2 that any consistent interpretation of this text must be address. This is only a short list of the most common questions but they are the ones that are most relevant to the following discussion of Sailhamer’s hypothesis since he is going to attempt to address all of these concerns. 2) When was the Universe created? On the first day or before the first day? 3) What does the phrase “heavens and earth” in Genes is 1:1 refer to? Does this refer to an unformed chaotic mass a material that God then molds in the six days? Does earth refer to all matter or just the earth or something else? Does earth mean the same thing in the phrase “heavens and earth” as it does in the next verse? 5) Related to #4, did God create/make the stars, moon and sun on the fourth day? 7) On what day did God create plants? Sounds easy doesn’t it, but what does the text say God created on the third day? 8) Why is there no mention of God’s seeing what he made was “good on the second day?” Certainly Genesis 1 and 2 are finely crafted texts and there are no unimportant words, this wasn’t just left out because it wasn’t important. He did make something on the second day so why was it not good? The reason he didn’t (and I think there is a good reason) tells us something about the focus of the text and how we are to interpret it. Think of what “good” means. Many equate it with perfect but we tend to have a very man-centered idea of what perfection is. What is God’s definition of “good.” This is one area where creation science slips badly into using very man-centered interpretations of what this means and are not using the Scripture to interpret Scripture. 10) What is the author’s purpose for mentioning specific rivers and features of the lands around Eden in Genesis 2? 11) Is the area outside of the Garden of Eden described in Genesis 1 and 2 and if not how can we know what it was like? Again these are just starter questions to keep in mind as one evaluates a number of views of the creation narratives. My overview of Sailhamer’s views won’t provide detailed answers for these questions but will give you a sense for how Sailhamer approaches these questions and attempts to knit together an interpretation that is faithful to the text and provides insights into these questions that have been asked in some form for centuries. Next I will provide an overview of Sailhamer’s Historical Creation view mostly in his words.